SEAT is all set to stir up the hot hatch brigade once again with the launch of a new ‘Ultimate Sub8 Performance Pack’. The car with this pack mirrors the exact specification of its creation which became the first front-wheel-drive production car to dip under the magic eight-minute Nürburgring Nordschleife lap time. Be under no illusions. A Leon SC CUPRA 280 fitted with the Ultimate Sub8 Performance Pack is no impractical trackday toy. It’s every inch a proper hot hatch, just with an even more focused nature than the multi-award-winning Leon on which it’s based. Each car will be built to order, its exclusivity is assured. 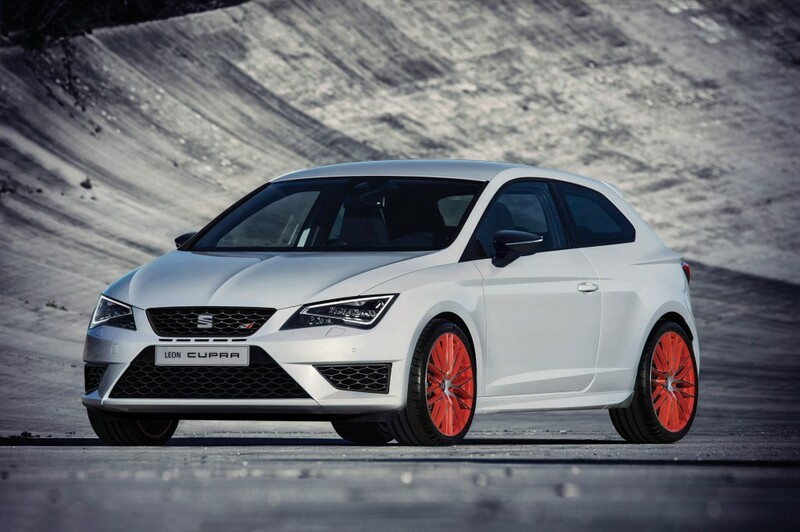 This entry was posted in Car Updates & Releases, Cars, Manufacturer News, News and Views, Performance Car, Sports Car and tagged lease a Seat Leon Cupra, seat leon, SEAT Leon Cupra, Seat Leon SC Cupra 280 by David Petherick. Bookmark the permalink.